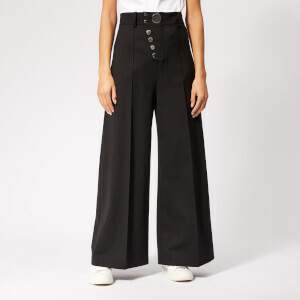 Women's wide leg trousers from MICHAEL MICHAEL KORS. 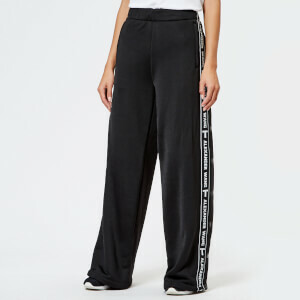 Cut from soft fabric with a tailored aesthetic, the slip-on, high-waisted pants have been designed with a button-less waistband for a smooth silhouette, and feature single darts at the hips and central pressed pleats down both legs for a smart finish. Complete with a wide leg opening and two welt pockets at the rear.